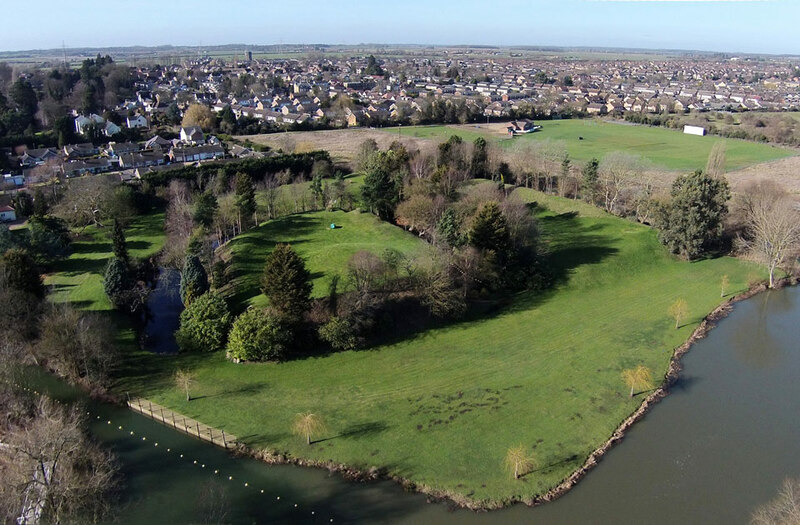 The earthworks of the ringwork and bailey are situated between the church and the River Great Ouse and consists of three baileys with the inner bailey containing a small motte. The site is surrounded by a 10 feet wide ditch and has been landscaped to form part of the garden of Castle Hills House in whose grounds it now lies. Private..